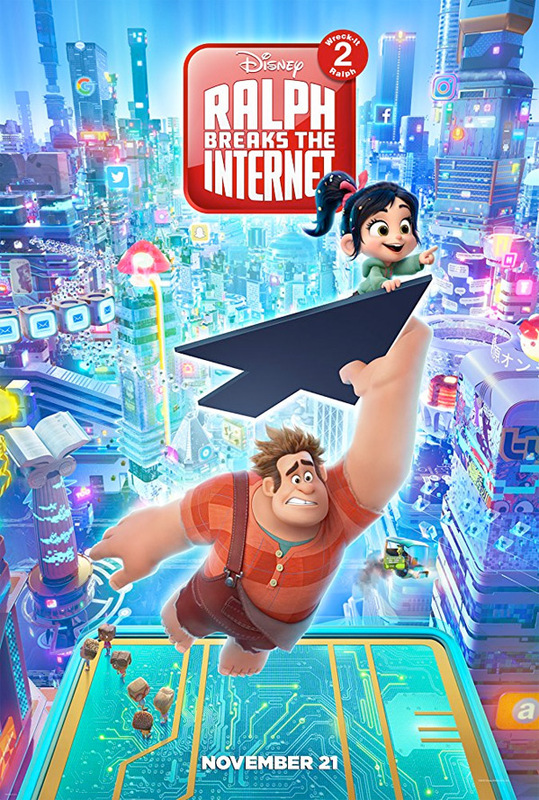 Wreck-It-Ralph is coming back to the big screen and this time he's pulling a Kardashian and making his way onto the World Wide Web in Ralph Breaks the Internet - the official title of the upcoming sequel (though why it isn't Ralph Wrecks the Internet we'll never know...). Here's everything we know about the film so far. When is Wreck-It-Ralph 2 coming out? Ralph is breaking the internet as we speak - the film is out now in both the US and the UK. As you'd expect, John C. Reilly is back as Ralph, with Sarah Silverman also returning as Vanellope. Jane Lynch is the other main returning actor, as the tough shooting game character Sergeant Calhoun. Most of the rest of the cast is new, and it's sprawling. Most exciting is the cast of Disney princesses, appearing together for the first time, which features a mix of new actors and other returning from their solo films, including the likes of Idina Menzel, Kristen Bell, Mandy Moore, and Kelly Macdonald. The other major new addition is Wonder Woman herself, Gal Gadot, who plays street racer Shank - maybe a knowing nod to her Fast & Furious appearances? Original director Rich Moore is back again, this time joined by Phil Johnston, who contributed to the script last time around. No doubt they've helped write the film this time too, but the bulk of the script comes from Pamela Ribon, who contributed writing duties to the most recent Smurfs film and Disney's own Moana. We've also got a few brilliant posters for the film so far, which you can see in the Flickr gallery below (click on it to go through to the gallery if it doesn't load straight away). As per usual, the English language posters are alright, but the real winners here are two great ones in Spanish and Japanese. It took until the film's third trailer for us to get a proper look at the plot, but we finally have it: Vanellope's Sugar Rush arcade game breaks early in the film, leaving it unplugged from the arcade. That leaves Ralph and her with only one choice: to head onto the internet to buy the necessary replacement part and bring her game back online. Naturally it won't be that simple. They'll end up in another (rather darker) street racing game, where it looks like Vanellope will face a bit of a temptation to stay online. She'll also somehow end up on the Disney website, running into characters from Winnie the Pooh, Star Wars, Marvel, Pixar, and more - most excitingly including all of the Disney princesses, together at last, though we don't know how (or indeed if) they'll tie back into the main plot. Ralph will also end up on the Dark Web at one point - hunting down the arcade part we'd guess - which looks appropriately creepy and unsettling.